Before Albert Kelly was banned from banking, his bank made generous loans to Pruitt. In need of a new job, he found one at the EPA. EPA Administrator Scott Pruitt testifies before the House Energy and Commerce Committee. The Environmental Protection Agency has tasked a banker who was banned from the banking industry for life with oversight of the nation’s Superfund program. But Pruitt, who had received loans from Kelly’s bank, apparently didn’t find Kelly’s unfitness to serve in the financial industry as disqualifying his longtime friend from serving as a top official at the EPA. Since May, Kelly, or Kell as he was known in Oklahoma, has led the effort to streamline the Superfund program — which oversees remediation of some of the country’s most toxic sites. Before Albert Kelly's appointment to head the EPA's Superfund task force, he had been fined $125,000 by the FDIC — he was later banned from banking. To pay for his house, Pruitt turned to SpiritBank — a community bank that Albert Kelly’s family had run since the 1930s. Public records show that SpiritBank suffered significant losses under Albert Kelly's leadership, going at least as far back as 2007. Pruitt earned only $38,400 as an Oklahoma state senator. Even with a $35,000 profit from selling his previous home, that was not enough on its own to buy a house in the Lakes at Indian Springs community in Broken Arrow, the suburb of Tulsa that Pruitt represented in the legislature. Yet in 2004, Pruitt purchased a sprawling ranch house in the upscale gated community for $605,000. Located on a half-acre corner lot in the Lakes, his stately Tudor looked out on a manmade lake and had a stone fireplace, parking for five cars, and a storm-safe room. To help pay for it, Pruitt turned to SpiritBank — a community bank that Kelly’s family had run since the 1930s. SpiritBank gave Pruitt and his wife three mortgage loans: one for $81,000, another for $359,000, and a third for $533,000. His wife, Marlyn Pruitt, has reported no assets or income. The year before, SpiritBank had also loaned Pruitt money to help buy a share of the Oklahoma City RedHawks, a minor league baseball team. That deal was made in partnership with a local businessman named Robert Funk, co-founder of an employment company. Kelly would become a senior adviser in the federal environmental agency despite having no previous experience with environmental issues. 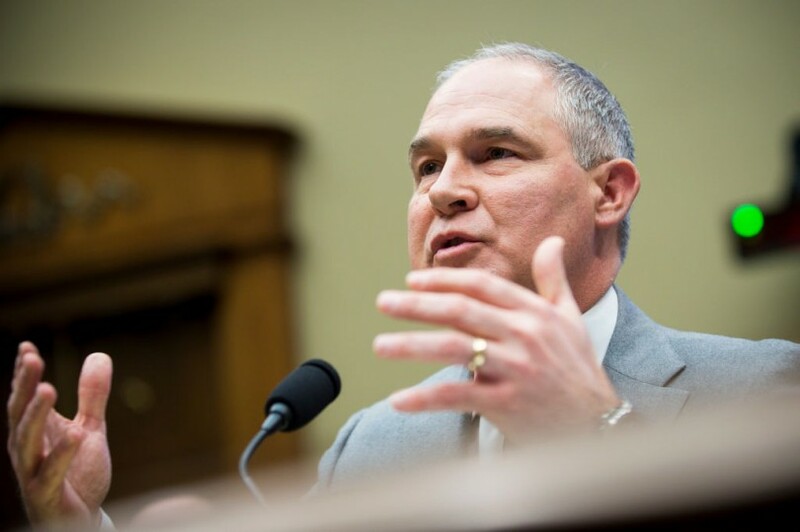 On May 22, Pruitt returned the favor to the Oklahoma banker with his announcement that he would be creating the Superfund task force — and appointing Kelly to head it. The appointment was notable in that Kelly would become a senior adviser in the federal environmental agency despite having no previous experience with environmental issues. A business major with a law degree and a 200-head cattle ranch, Kelly listed motivational speaking and political activity among the core competencies on his resume. The descendant of a long line of bankers and Republicans, Kelly had worked at his family’s bank for the previous 33 years. Sen. Elizabeth Warren sent a letter to Albert Kelly, questioning his banking history and qualifications. Read about the letter here. At an environmental hearing, Congressman Frank Pallone spoke out about Kelly’s banking history. “Is that really the type of person we should trust to run the Superfund Program?” asked Pallone. Lerner’s reporting sparked interest in Kelly’s banking career among members of Congress and other media. Kelly then resigned amid ethics inquiries on May 1, 2018. It is unclear whether Spirit’s loans to Pruitt violated the bank’s lending standards, both because those standards aren’t public and because Pruitt may have used assets and income as collateral that don’t appear in public records. Pruitt, Kelly, and the EPA declined to comment or answer questions for this story. For Kelly, who has contributed to Pruitt’s campaigns on at least three occasions, the appointment came just as he found himself in need of a job. Few knew at the time that the banking scion was already well on his way to being forced out of his family business, which had been run by his uncle and grandfather before him — and being banned from banking altogether. The FDIC's Order of prohibition against Kelly provided a few more details about what the banker had done to get himself banned from banking for life — a dubious distinction that befell 96 bankers in 2016. (The 2017 figures are not yet available.) The FDIC has been known to levy this penalty on certain bankers convicted of criminal fraud. And the federal regulator has also issued lifetime banking bans for some leaders of failed banks. The Houston Chronicle and NJ.com published editorials on Albert Kelly’s banking ban and relationship to Pruitt. Despite repeated FOIA requests from The Intercept, the FDIC has declined to release more information about the particular violations that led to Kelly’s fine and lifetime ban from banking. But public records show that SpiritBank suffered significant losses under his leadership, going at least as far back as 2007. At its peak, the bank had $1.5 billion in assets, according to Kelly’s resume, which does not indicate when that was the case. Today, it has less than half that amount — just over $700 million. Clearly some of its troubles had to do with making bad mortgages — home loans that borrowers were unable to pay back. The “troubled asset ratio” is a number that approximates a bank’s stability by comparing the amount of troubled assets to its holdings that bank regulators consider solid. Generally, the higher the measure, the more stress a bank is under because of lenders who are not paying on time. In 2007, SpiritBank’s troubled asset ratio reached 34, meaning just over one-third of its holdings were troubled. Nationwide, the median troubled asset ratio for banks at the time was 12. Yet SpiritBank’s finances only got shakier in the years after it received the federal bailout funds, which the bank used to make even more mortgages. “The added capital resulted in approximately $400 million of additional residential mortgage loans funded in 2009,” as the bank made clear in a report to the Treasury that year. In 2010, the bank made more mortgages and its troubled asset ratio climbed to over 60. Once he became chair of the ABA, Kelly spoke out against the federal regulation of banking, a position Pruitt shared out of concern, he said, for community banks. Kelly was also chair of the Oklahoma Turnpike Authority, a powerful entity in charge of building the state’s roads. Taxpayers lost 70 percent of the money they laid out for SpiritBank, making it one of TARP’s worst investments. Yet even as Kelly’s public profile rose, his bank continued to falter. In the first quarter of 2012, Spiritbank’s troubled asset ratio topped 70 and the FDIC stepped in to try to stabilize it. That year, in a consent order with the FDIC and the Oklahoma State Banking Department, the bank agreed to 25 improvements to its practices. Among the changes to be instituted were requirements that loans “be supported by current credit information and collateral documentation” and that loans to bank executive officers, directors, and principal shareholders “be thoroughly reviewed.” The order also specified that the bank “shall retain qualified management” and that it come up with a policy for overseeing the business and entertainment expenses of its directors, officers, and employees, which had apparently gotten out of hand. At the peak of the subprime crisis, the median troubled asset ratio of banks nationwide was 15.1. By the end of 2012, even after the infusion of federal dollars, SpiritBank’s troubled asset ratio had reached 75. While most banks paid the Treasury back for the funds they’d gotten through the TARP program with interest, SpiritBank was unable to reimburse the government for more than $21 million of the $30 million it had received. Taxpayers lost 70 percent of the money they laid out for SpiritBank, making it one of TARP’s worst investments. Most bankers who failed to repay TARP funds were not penalized for their financial irresponsibility — and it is unclear whether this was the reason for Kelly’s forced exit from banking. Yet, some Oklahomans did pay a price for the bad loans. “Minorities were disproportionately affected,” according to Angela Gobar, an academic who has studied the mortgage crisis in Oklahoma. Gobar found that most subprime loans were made to borrowers in the middle and upper income brackets — people who might have qualified for loans that were on more favorable terms. When he was Oklahoma attorney general, Pruitt opted out of a federal program that would have helped some of these foreclosure victims. In 2012, when the federal government and 49 state attorneys general launched the National Mortgage Settlement to offer relief to people who lost their homes in the crisis, Oklahoma became the only state to reject its share of $1.5 billion earmarked for individuals. Pruitt, who had been elected the state’s attorney general in 2010, declined more than $10 million that would have gone to foreclosure victims in Oklahoma on the grounds that it penalized financially responsible homeowners. 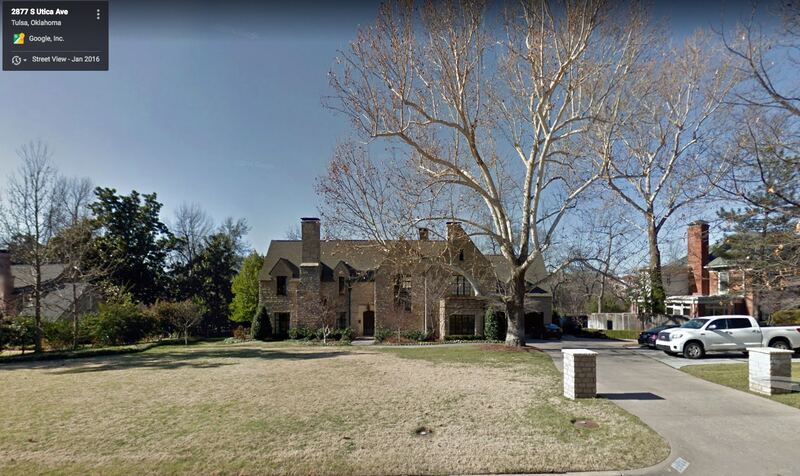 A January 2016 Google Street View shows Scott Pruitt’s home in Tulsa, Oklahoma. At least one recipient of a questionable loan survived the mortgage crisis unscathed. In 2012, Pruitt sold his house in the Lakes at Indian Springs. He lost $62,000 on the deal, a modest setback considering the magnitude of the financial crisis that was then barely in the country’s rearview mirror. The same year, while the FDIC was trying to stabilize SpiritBank, Pruitt bought an even bigger and grander house — a stone mansion with more than 5,000 square feet of living space and three chimneys. By then, Pruitt was already Oklahoma attorney general, a job that pays $132,825 a year. Still, he needed another loan. This time, he got an $850,000 adjustable rate mortgage from the Bank of Oklahoma. Though Pruitt now lives in Washington at an undisclosed address, he still owns his home in Tulsa. The interest rate on his mortgage is due to shoot up in 2022. Now, the program under Kelly’s guidance is having money problems of its own. Although Scott Pruitt claims he is making Superfund a priority, he has also proposed cutting its budget. For his part, Kelly is doing all right. At the helm of the program his friend Pruitt holds up as evidence that he cares about the environment, the banished banker now earns $172,100.